iPhone becomes very popular worldwide these years. 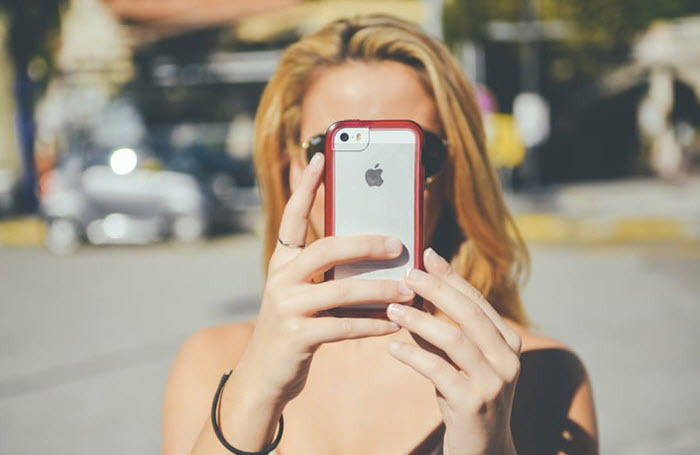 A high-quality camera of iPhone has attracted millions of users because it allows the users to take pictures whenever they want. People are habitual of capturing beautiful and important moments and keep those memories with them. However, devices are not reliable enough and we can suffer data loss any time due to various reason, especially after the latest iOS update. 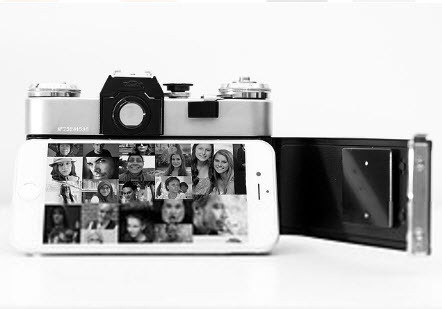 Be it accidental deletion, software update, malware intrusion, anyone can face the loss of photos. To handle this situation, we have brought the best and easiest way which can help you recover your accidentally deleted photos. Before we introduce the tool, we would like to tell you some knowledge about data recovery. Q 1. Is It Possible to Recover Deleted iPhone Photos without Backup? We often get to hear this question from people who have experienced data loss. Fortunately, the answer is "YES". 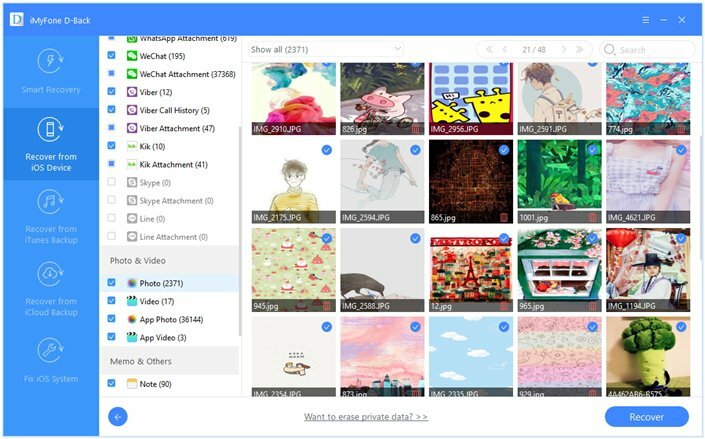 You can recover your deleted Photos without having a Backup. However, the possibility of recovery varies from case to case. Generally, If you have immediately stopped using your device and gotten the help of a data recovery tool after experiencing data loss, it will somehow recover more (maybe all) of your deleted data; but if you were continuously using your device after losing data, there may be less chance of recovering your data. Now, how can the data be recovered after deletion? Well, allow us to enlighten you on that part too. 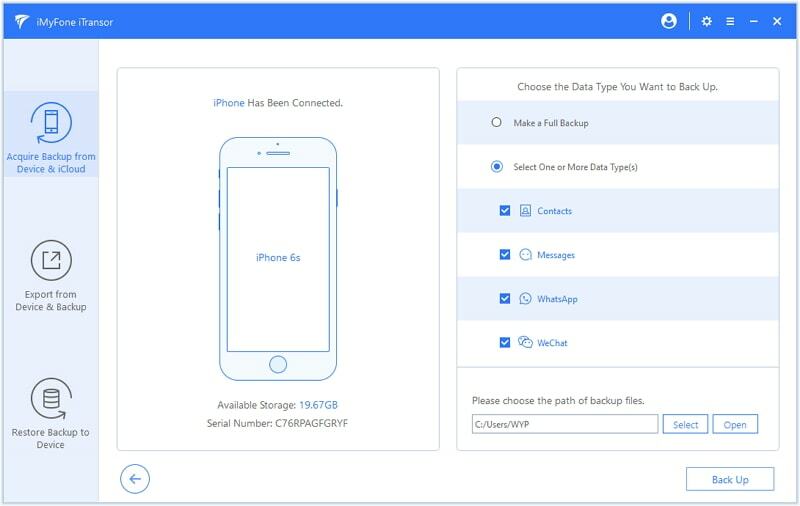 iPhone uses SQLite database to save your data and if in case you accidentally or intentionally delete some of your photos or video or any other data, it is not erased or removed completely from your iPhone right then and there. Instead, the space occupied by it is set as "Available" and your data will still be there but in a hidden state. This is where the data recovery tool is required to find that hidden data and make it visible again. Now, if you keep using your device, the data will get overwritten by the new data and hence, no data recovery tool will be able to recover your already overwritten data. Q 2. How Far Back in Time Can You Still Recover the Lost Photos? To be very honest, it cannot be calculated because at times, you can even recover the data which you may have deleted long time ago (maybe last year), but in some scenarios, you cannot even recover the data which was deleted just a short while ago. The very first thing is to be taken into account is "immediately stop using your iPhone right then and there". This will reduce the chance of getting your data overwritten and in turn, increases the chance of recovering almost all of your data. 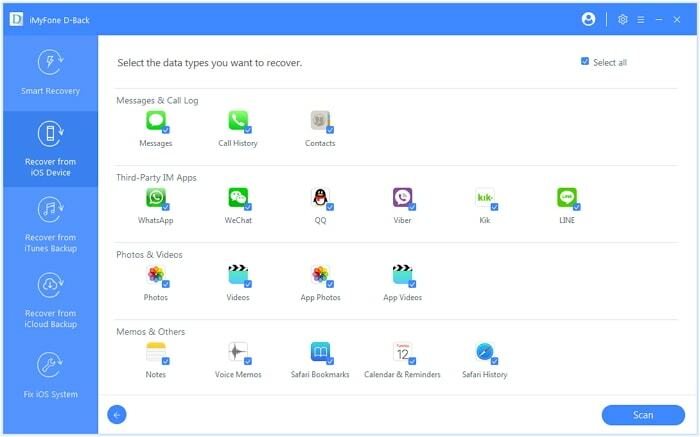 Secondly, you need to understand that data loss occurred due to factory reset is far different from data loss occurred due to accidental deletion or malware infection or some other reasons. If you have factory reset your device, there is very less chance of recovering your lost data. This is because when you perform a Factory Reset, all your data on your iPhone is erased completely while in other data loss scenarios your data is just set in a Hidden state instead of erasing it completely. Always, perform regular backups of your data using a backup tool to tackle with data loss situations. 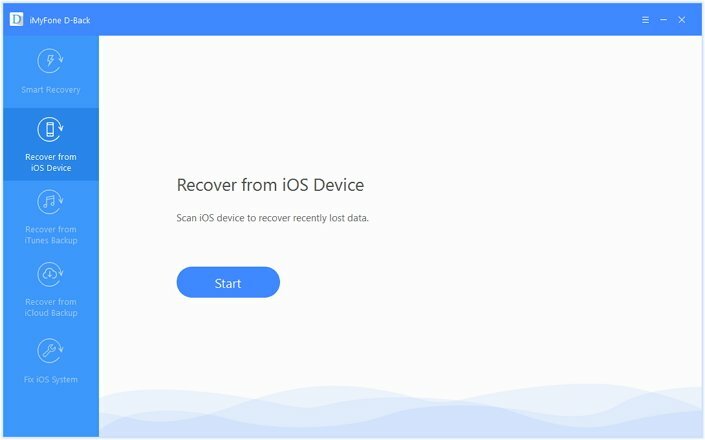 iMyFone D-Back iPhone data recovery software is a powerful tool that enables you to recover your lost data from your iOS device. Recognized by Cult of Mac, Make Use Of and other famous technology websites, it can recover lost data from your iTunes and iCloud Backup; even you don't have a backup, it can directly recover data from your iOS device. It can recover deleted photos from iPhone without backup. It can selectively or fully recover photos from iPhone, iPad, or iPod touch. It can recover photos without affecting your current data on iPhone. It will recover photos without restoring. You are allowed to view photos within iTunes/iCloud backup whenever you want. Recover 20+ types files from your iOS devices including contacts, messages, voice memo, videos, WhatsApp messages, etc. Recover data lost due to various reasons such as iPhone attacked, damaged, accidental data deletion, or upgrading iOS system. Works with all iOS models including iPhone 8, iPhone X, iPhone XS, iPhone XS Max, iPhone XR and also supports all iOS versions such iOS 12/11/10/9/8/7. Preview specific data before recovery. iMyFone D-Back iPhone Data Recovery software allows you to easily recover deleted photos from iPhoneXR/XS Max/XS/X/8/7/SE/6s/6/5s/5c/5/4 without backup. Follow these simple steps to do it. If you also lost text message accidentally, go to this article to learn how to retrieve deleted text messages from iPhone. First, download and install iMyFone D-Back on your computer. Launch the program and from Recover from iOS Device tab, click on Start button. Connect your iPhone to the computer and after your iPhone is detected by the program, simply hit on Next to search for all the photos on your iPhone. Next, choose the data types that you need to recover - here we choose Photo. You can also choose other data types. After scanning is completed, a window appears showing all the photos that can be recovered. Preview them and check the ones you need. You can also choose 'Show only the deleted files' to preview deleted photos only. After selecting the photos you need, click Recover to complete the process. This is how to recover deleted pictures from iPhone without a backup with the help of iMyFone D-Back. You can also use iMyFone D-Back to recover deleted pictures from iPad or selectively extract photos from your iTunes or iCloud backup files. iMyFone D-Back offers Free Trial version to Windows and Mac user so that you can download the program to confirm whether your photos can be recovered or not. If you want to know how to get back permanently deleted photos on iPhone without backup in iTunes or iCloud, just go to this article. 2.3. Can I Trust this iPhone Photo Recovery Tool? We really hope this program can help you to solve the annoying problem, just try the free trial version before purchasing. Generally, if the free trial version can find and preview the data you need, then probably the full version can recover them, also. That means what you can recover with full version is the same with what you can view with trial version. 1. The tool allows you to make a backup without overwriting the previous backup (this is what iTunes and iCloud will do). You can keep numerous backups on your computer. 2. You can flexibly backup your iPhone. For example, you can back up only contacts, messages, WhatsApp data, WeChat data on your device instead of the whole iPhone. This will save time and storage on your computer for you. I’m using an iPhone 3G. I can’t open any of the software recovery apps when they’re finished downloading. I’ve tried a few more other recovery apps, and it still didn’t help, any idea what I should do? thanks for reading. I am sorry to say our software supports only iPhone 4/4S/5/5S/5C/6/6 Plus/6S/6S Plus/SE and doesn’t support to recover data from iPhone 3G. 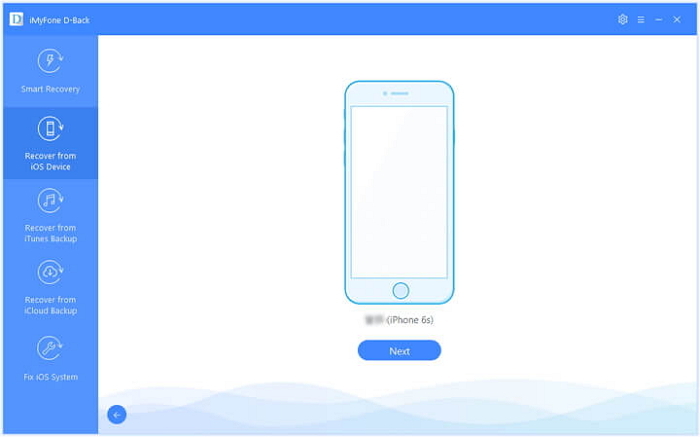 You can check more details about its specification here: https://www.imyfone.com/iphone-data-recovery/reference/. Most of iPhone data recovery tools in the market don’t support iPhone 3G as well. Sorry about the news. Anyway, good luck to you, and may you have a nice day! Yes! This worked!! I was able to recover some very important photos. But now I am concerned about photos that I never want recovered. How can I make sure some photos will never be recovered by any one? Problem is that my iPhone 6S is totally bricked and can’t be recognized by the computer. Do you have a solution for that? Hello Sophia, have you made any backup before? If yes, you can choose the “Recover from iTunes backup” or “Recover from iCloud backup” mode to extract photos from iTunes or iCloud backup without connecting your iPhone to computer. But if your iPhone can not be detected by the computer and you haven’t made any backup before, i am afraid to say that it may be difficult for you to get back the deleted photos. As far as we know, none of the iPhone data recovery programs in the market can do the job in this situation.